The latest targets of Internet of Things connectivity are mice. 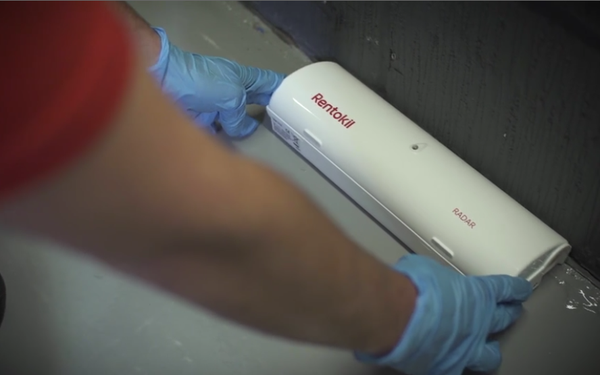 The Rodent Activated Detection And Riddance (RADAR) mousetrap has just been introduced by Rentokil in the U.K.
Each RADAR mousetrap has an entrance at each end, allowing mice to get in from either direction, according to the company’s marketing materials. And that’s when the IoT connectivity kicks in. Once the mouse is contained, a signal is sent to a control panel, which then triggers a message to a call center, which then can dispatch a technician to deal with the mouse in the trap. The online reporting system can be accessed by customers via PC or smartphone app. The Internet-connected mousetrap kit could set someone back $1,600. No definitive word on if this is a better mousetrap, but it certainly will be among the most expensive. 2 comments about "Company Starts Marketing A $1,600 Smart Mousetrap". R MARK REASBECK from www.USAonly.US , February 24, 2017 at 11:57 a.m.
Again, "just because you can..........................."
Chuck Martin from Chuck Martin replied, February 24, 2017 at 1:14 p.m.
And then there's the price-value issue, Mark.